This all creatures animal exploitation photo gallery about turkeys is being presented to show the public the difference between the cute little animals we see in advertising and picture in our minds and the reality that exists in the world. 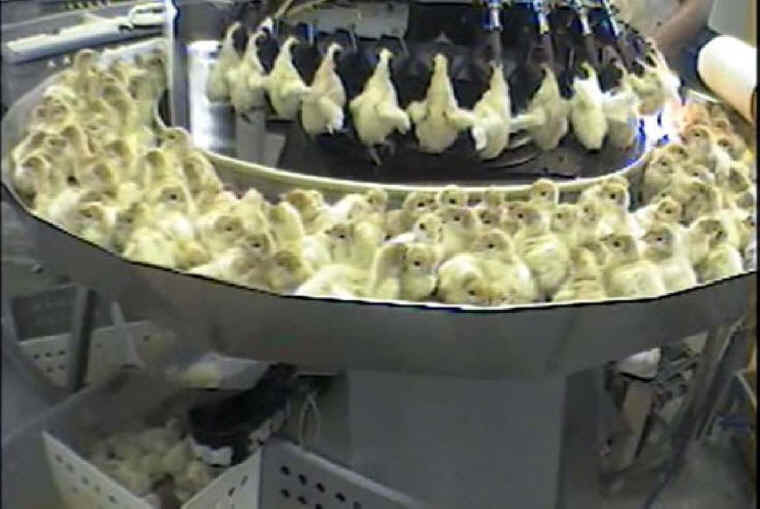 (Turkey - Hatchery Mutilation - 08) Chicks are generally debeaked to minimize damage caused by stress-induced pecking while on the farm. Again, the turkeys are blamed for human cruelty.